Where and under what circumstances was the atoning sacrifice of the Son of God made? Was it on the Cross of Calvary or in the Garden of Gethsemane? It is to the Cross of Christ that most Christians look when centering their attention upon the infinite and eternal atonement. And certainly the sacrifice of our Lord was completed when he was lifted up by men; also, that part of his life and suffering is more dramatic and, perhaps, more soul stirring. But in reality the pain and suffering, the triumph and grandeur, of the atonement took place primarily in Gethsemane. It was there Jesus took upon himself the sins of the world on conditions of repentance. It was there he suffered beyond human power to endure. It was there he sweat great drops of blood from every pore. It was there his anguish was so great he fain would have let the bitter cup pass. It was there he made the final choice to follow the will of the Father. It was there that an angel from heaven came to strengthen him in his greatest trial. Many have been crucified and the torment and pain is extreme. But only one, and he the Man who had God as his Father, has bowed beneath the burden of grief and sorrow that lay upon him in that awful night, that night in which he descended below all things as he prepared himself to rise above them all. I. V. Mark 14:36-38. Even at this late hour, because they had not yet received the gift of the Holy Ghost, the disciples wondered if Jesus was really the Messiah. Flashes of revelation had come in times past so certifying, but as yet they could not have available the constant companionship of that Holy Ghost whose mission it is to bear record of the Son. How important it is that men receive and enjoy the gift of the Holy Ghost! Mark 14:34. Sorrowful unto death] "A man of sorrows, and acquainted with grief: . . . Surely he hath borne our griefs, and carried our sorrows." (Isa. 53:3-4.) And here, at this moment, while he prayed in this garden, was to be centered in him the agony and sorrow of the whole world. Sorrow is the child of sin, and as he took upon himself the sins of the world, he thereby bore the weight of the world's sorrows. Christ's agony in the garden is unfathomable by the finite mind, both as to intensity and cause. The thought that He suffered through fear of death is untenable. Death to Him was preliminary to resurrection and triumphal return to the Father from whom He had come, and to a state of glory even beyond what He had before possessed; and, moreover, it was within His power to lay down His life voluntarily. He struggled and groaned under a burden such as no other being who has lived on earth might even conceive as possible. It was not physical pain, nor mental anguish alone, that caused Him to suffer such torture as to produce an extrusion of blood from every pore; but a spiritual agony of soul such as only God was capable of experiencing. No other man, however great his powers of physical or mental endurance, could have suffered so; for his human organism would have succumbed, and syncope would have produced unconsciousness and welcome oblivion. In that hour of anguish Christ met and overcame all the horrors that Satan, "the prince of this world" could inflict. The frightful struggle incident to the temptations immediately following the Lord's baptism was surpassed and overshadowed by this supreme contest with the powers of evil. From the terrible conflict in Gethsemane, Christ emerged a victor. Though in the dark tribulation of that fearful hour He had pleaded that the bitter cup be removed from His lips, the request, however oft repeated, was always conditional; the accomplishment of the Father's will was never lost sight of as the object of the Son's supreme desire. The further tragedy of the night, and the cruel inflictions that awaited Him on the morrow, to culminate in the frightful tortures of the cross, could not exceed the bitter anguish through which He had successfully passed. The name Gethsemane (derived from Hebrew "oil press") is mentioned twice in the Bible, both in the New Testament (Matt. 26:36Matt. 26:36; Mark 14:32); in each case, it is called a "place" (Greek chorion, "piece of land") to which Jesus Christ and his apostles retired after their last supper together. The fourth gospel calls the area "a garden" (John 18:1). For Latter-day Saints, Gethsemane was the scene of Jesus' greatest agony, even surpassing that which he suffered on the cross, an understanding supported by Mark's description of Jesus' experience (Mark 14:33-39). According to Luke 22:43-44, Jesus' anguish was so deep that "his sweat was as it were great drops of blood falling down to the ground," an observation that harmonizes with the view that Jesus suffered most in Gethsemane during his Atonement. Even though these verses are missing in some of the earliest extant manuscripts of Luke's gospel, their content is confirmed in modern revelation (e.g., D&C 19:18). 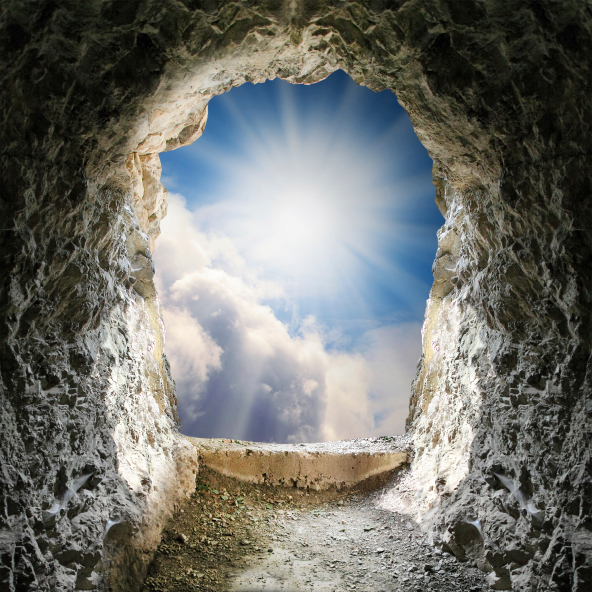 The evidence for Jesus' extreme agony in Gethsemane is buttressed by a prophecy in the Book of Mormon and a statement by the resurrected Savior recorded in the Doctrine and Covenants. About 125 B.C., a Book of Mormon king, Benjamin, recounted in an important address a prophecy of the coming messiah spoken to him by an angel during the previous night. Concerning the Messiah's mortal experience, the angel declared that "he shall suffer temptations, and pain of body, hunger, thirst, and fatigue, even more than man can suffer, except it be unto death; for behold, blood cometh from every pore, so great shall be his anguish for the wickedness and the abominations of his people" (Mosiah 3:7). The Doctrine and Covenants gives the following poignant words of the resurrected Jesus: "Behold, I, God, have suffered these things for all, that they might not suffer if they would repent; ...which suffering caused myself, even God, the greatest of all, to tremble because of pain, and to bleed at every pore, and to suffer both body and spirit" (D&C 19:16, 18). Modern LDS leaders have emphasized that Jesus' most challenging experience came in Gethsemane. 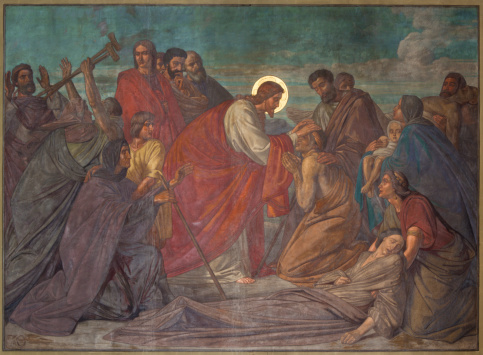 Speaking in a general conference of the Church in 1982, Marion G. Romney, a member of the First Presidency, observed that Jesus suffered "the pains of all men, which he did, principally, in Gethsemane, the scene of his great agony" (Ensign 12 [May 1982]:6). Church President Ezra Taft Benson wrote that "it was in Gethsemane that Jesus took on Himself the sins of the world, in Gethsemane that His pain was equivalent to the cumulative burden of all men, in Gethsemane that He descended below all things so that all could repent and come to Him" (Benson, p. 7). While tradition locates Gethsemane on the lower slopes of the Mount of Olives, the exact spot remains unknown. Luke associates it with the Mount of Olives (Luke 22:39), and John notes that it lay across the Kidron brook (John 18:1), which flows from the north along Jerusalem's east side. The particular use of "place" (Greek topos) to describe the spot in the gospels of Luke and John suggests that the location was bound up with Jesus' destiny and consequently possesses a sacred character (Luke 22:40; John 18:2). It was a spot that Jesus and his disciples customarily visited (Luke 22:39), which allowed Judas and the others to find him on the night of his arrest (John 18:2). One night I dreamed—if dream it may be called—that I was in the Garden of Gethsemane, a witness of the Savior's agony. I saw Him as plainly as I see this congregation. I stood behind a tree in the foreground, where I could see without being seen. Jesus, with Peter, James and John, came through a little wicket gate at my right. Leaving the three Apostles there, after telling them to kneel and pray, he passed over to the other side, where he also knelt and prayed. It was the same prayer with which we are all familiar: "O my Father, if it be possible, let this cup pass from me: nevertheless not as I will, but as thou wilt" (Matt. 26:36-44; Mark 14:32-41; Luke 22:42). As he prayed the tears streamed down his face, which was toward me. I was so moved at the sight that I wept also, out of pure sympathy with his great sorrow. My whole heart went out to him, I loved him with all my soul, and longed to be with him as I longed for nothing else. Presently he arose and walked to where the Apostles were kneeling—fast asleep! He shook them gently, awoke them, and in a tone of tender reproach, untinctured by the least suggestion of anger or scolding asked them if they could not watch with him one hour. There he was, with the weight of the world's sin upon his shoulders, with the pangs of every man, woman and child shooting through his sensitive soul—and they could not watch with him one poor hour! Returning to his place, he prayed again, and then went back and found them again sleeping. Again he awoke them, admonished them, and returned and prayed as before. Three times this happened, until I was perfectly familiar with his appearance—face, form and movements. He was of noble stature and of majestic mien—not at all the weak, effeminate being that some painters have portrayed—a very God among men, yet as meek and lowly as a little child. All at once the circumstance seemed to change, the scene remaining just the same. Instead of before, it was after the crucifixion, and the Savior, with those three Apostles, now stood together in a group at my left. They were about to depart and ascend into Heaven. I could endure it no longer. I ran out from behind the tree, fell at his feet, clasped him around the knees, and begged him to take me with him. I shall never forget the kind and gentle manner in which He stooped and raised me up and embraced me. It was so vivid, so real, that I felt the very warmth of his bosom against which I rested. Then He said: "No, my son; these have finished their work, and they may go with me, but you must stay and finish yours." Still I clung to him. Gazing up into his face—for he was taller than I—I besought him most earnestly: "Well, promise me that I will come to you at the last." He smiled sweetly and tenderly and replied: "That will depend entirely upon yourself." I awoke with a sob in my throat, and it was morning. "That's from God," said my companion (Elder A. M. Musser), when I had related it to him. "I don't need to be told that," was my reply. I saw the moral clearly. I had never thought that I would be an Apostle, or hold any other office in the Church; and it did not occur to me even then. Yet I knew that those sleeping apostles meant me. I was asleep at my post—as any man is, or any woman, who, having been divinely appointed to do one thing, does another. The Atonement is nothing less than the answer to the Terrible Question: "Is this all there is?" If you are a saint, you know that this is a wicked world; if you are the most cynical and worldly unbeliever, you still know by experience that it is a vicious one. It seems that everything we want here is either destructive or trivial. I am going to bypass the tempting list of quotations on the subject—Shakespeare, Sophocles, Matthew Arnold, William James, and so on—and turn directly to the scriptures, where Peter is not philosophizing or theologizing but stating the facts of life: "Go about (anastraphete, conduct yourselves) in fear during your transient stay (paroikias chronon), knowing that perishables like silver and gold cannot free you from the futile way of life of your fathers" (1 Peter 1:17-18). Thus he concludes his comment: "For all flesh is grass, and all the glory of man as wild flowers; the grass withers and the flowers crumble. But the word of the Lord endures forever" (1 Peter 1:24-25). Between these two statements of the problem Peter gives us another choice; there is an order of things that goes back "before the foundation of the world" and is now emerging again to our advantage—"manifest in these last times for you" (1 Peter 1:20). It is the carrying out of the Atonement, for which the law of Moses was a preparation. Jacob, in the Book of Mormon, goes right to the point. The problem is "that our flesh must waste away and die; . . . death hath passed upon all men" (2 Nephi 9:4, 6); and without the resurrection, entropy—the good old Second Law of Thermodynamics—must take over, "and if so, this flesh must have laid down to rot and to crumble to its mother earth, to rise no more" (2 Nephi 9:7). That is entropy, and what is to stop it? Jacob grasps the situation: "There must needs be a power," he says, "of resurrection," and such a power has indeed been provided, "to fulfill the merciful plan of the great Creator" (2 Nephi 9:6). What a comfort to know that things are under control after all. The Fall has put us into a state of corruption in which it would be disastrous to remain if man should "put forth his hand and partake also of the tree of life, and eat and live forever [in his sins]" (Moses 4:28). Nobody wants to live forever in a sewer, yet according to Shakespeare even that is preferable to the alternative: "The weariest and most loathed worldly life that age, ache, penury, and imprisonment can lay on nature is a paradise to what we fear of death." But it doesn't have to be that way. That is just the point. The Atonement makes available the only kind of lasting life worth having. The great Christian tract on the Atonement, Paul's epistle to the Hebrews, begins with an exhilarating prospect: "God . . . hath in these last days spoken unto us by his Son, whom he hath appointed heir of all things, by whom also he made the worlds [note the plural]. Who being the brightness of his glory, and the express image of his person, and upholding all things by the word of his power, when he had by himself purged our sins, sat down on the right hand of the Majesty on high" (Hebrews 1:1-3). People are usually surprised to learn that atonement, an accepted theological term, is neither from a Greek nor a Latin word, but is good old English and really does mean, when we write it out, at-one-ment, denoting both a state of being "at one" with another and the process by which that end is achieved. 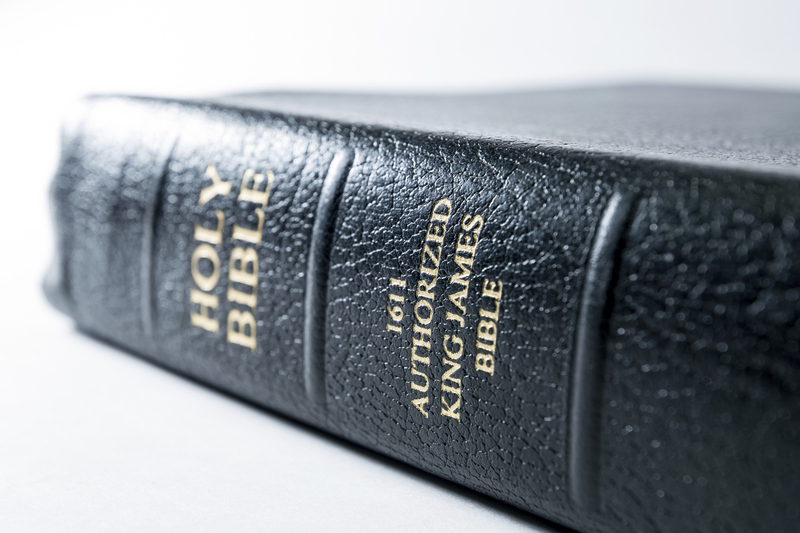 The word atonement appears only once in the New Testament (Romans 5:11 in the King James Version), and in the Revised Standard Version it does not appear at all, since the new translation prefers the more familiar word "reconciliation." Paul has just told us that the Lord "sat down at the right hand of the Majesty on High," so reconciliation is a very good word for atonement there, since it means literally to be seated again with someone (re-con-silio)—so that atonement is to be reunited with God. The Greek word translated as "reconciliation" is katallagein. That is a business term which the Greek-English Lexicon tells us means "exchange, esp. of money; . . . change from enmity to friendship, reconciliation; . . . reconciliation of sinners with God." It is the return to the status ante quo, whether as a making of peace or a settlement of debt. The monetary metaphor is by far the commonest, being the simplest and easiest to understand. Hence, frequently the word redemption literally means to buy back, that is, to reacquire something you owned previously. Thus Moses: "But because the Lord loved you, and because he would keep the oath which he had sworn unto your fathers, hath the Lord brought you out with a mighty hand, and redeemed you out of the house of bondmen, from the hand of Pharaoh" (Deuteronomy 7:8). Redemption, or atonement, restores one to a former, happier condition. "And what one nation in the earth is like thy people, even like Israel, whom God went to redeem for a people to himself, and to make him a name, and to do for you great things and terrible, for thy land, before thy people, which thou redeemest to thee from Egypt, from the nations and their gods?" (2 Samuel 7:23). By redemption, someone has paid a price to get you off, but the frequent use of the commercial analogy is not out of reverence for trade and commerce but the opposite. The redeemed are bought to clear them of all worldly obligation by paying off the world in its own currency, after which it has no further claim on the redeemed: "And the child of eight days shall be circumcised for you, every male through your generations, born of a house or a purchase of silver of any outsider who is not of thy seed. He must certainly be circumcised, born of your house, or bought with your silver; and it shall be my covenant in [among or with] thy flesh for an everlasting covenant" (Genesis 17:12-13). All the newborn are taken into the family, which is united by an eternal covenant by the token shedding of blood (circumcision) to become the seed of Abraham—this is a real at—one-ment. The Greek equivalent is lytrosis, a ransoming. Paul tells the saints to prepare for the salvation that has been made available by disengaging from this world—"denying ungodliness and worldly lusts, we should live soberly, righteously, and godly, in this present world"—so that God "might redeem us from all iniquity, and purify unto himself a peculiar people" (Titus 2:12, 14). Salvation is likewise rescue (soteria), also rendered deliverance. Another expression is "for a price," the word being time, "that which is paid in token or worth of value." He paid for us what he thought we were worth so he could join us with him. In his letter to the Ephesians, the proposition reads like a business agreement, not binding but releasing: "In whom we have bail (apolytrosin—our release pending the judgment) through his blood, the pardoning (aphesin, setting-aside) of misdemeanors (paraptomaton, blunder, trespass) on consideration of the riches (ploutos) of his generosity (charitos), which he has bestowed upon us in all wisdom and understanding (phronesei) (Ephesians 1:7—8). Next Paul tells us that it was all the Savior's idea, "that in the economy (oikonomia) of the fullness of times the whole thing might be brought together again in Christ (anakephalaiosasthai)—things in the heavens and things on earth" (Ephesians 1:9-10). A great at-one-ment indeed! Meanwhile Paul counsels the saints, "Grieve not the holy Spirit of God, whereby ye are sealed unto the day of redemption (bought free, apolytroseos)," and to be united in love, "forgiving one another, even as God for Christ's sake hath forgiven you" (Ephesians 4:30, 32). So when the scriptures speak of atonement, it is always re-conciliation, redemption, re- surrection, re-lease, salvation, and so on. All refer to a return to a former state. This is even more vividly and concretely expressed in the Hebrew terminology. In Semitic languages, where one root can have many meanings, the first rule is always to look for the basic or literal meaning of the word, which in Hebrew, Aramaic, and Arabic usually takes us back to early days and simple homely affairs of life in the desert or the countryside. One simple physical act often triggers a long line of derivatives, meanings that are perfectly reasonable if one takes the most obvious steps from one to the next, but which can end up miles from the starting place. The basic word for atonement is kaphar, which has the same basic meaning in Hebrew, Aramaic, and Arabic, that being "to bend, arch over, cover; . . . to deny, . . . to forgive, . . . to be expiated, . . . renounce." fn The Arabic kafara puts the emphasis on a tight squeeze, such as tucking in the skirts, drawing a thing close to one's self. Closely related are Aramaic and Arabic kafat, fn meaning a close embrace, which are certainly related to the Egyptian hpet, fn the common ritual embrace written with the ideogram of embracing arms. It may be cognate with the Latin capto, and from it comes the Persian kaftan, fn a monk's robe and hood completely embracing the body. Most interesting is the Arabic kafata, as it is the key to a dramatic situation. It was the custom for one fleeing for his life in the desert to seek protection in the tent of a great sheik, crying out, "Ana dakhiluka," meaning "I am thy suppliant," whereupon the Lord would place the hem of his robe over the guest's shoulder and declare him under his protection. 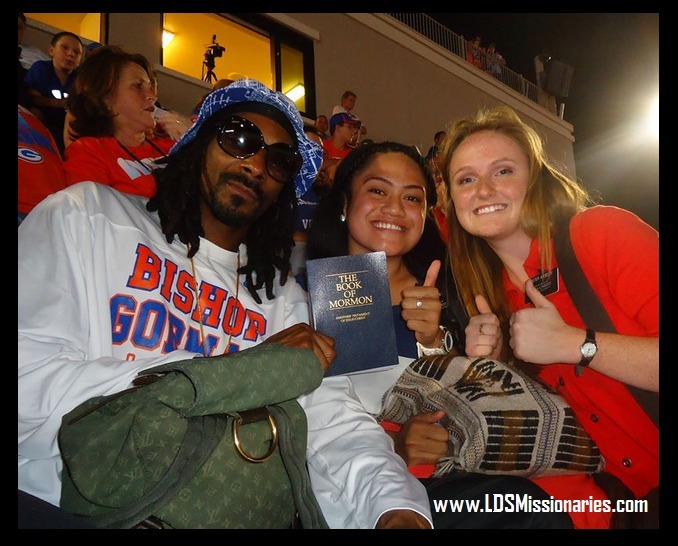 In the Book of Mormon, we see this world as a plain, a dark and dreary waste, a desert. We see Nephi fleeing from an evil thing that is pursuing him. In great danger, he prays the Lord to give him an open road in the low way, to block his pursuers, and to make them stumble. He comes to the tent of the Lord and enters as a suppliant; and in reply, the Master, as was the ancient custom, puts the hem of his robe protectively over the kneeling man's shoulder (katafa). This puts him under the Lord's protection from all enemies. They embrace in a close hug, as Arab chiefs still do; the Lord makes a place for him and invites him to sit down beside him—they are at—one (2 Nephi 4:33; Alma 5:24). This is the imagery of the Atonement, the embrace: "The Lord hath redeemed my soul from hell; I have beheld his glory, and I am encircled about eternally in the arms of his love" (2 Nephi 1:15). "O Lord, wilt thou encircle me around in the robe of thy righteousness! O Lord, wilt thou make a way for mine escape before mine enemies!" (2 Nephi 4:33). "Behold, he sendeth an invitation unto all men, for the arms of mercy are extended towards them, and he saith: Repent, and I will receive you" (Alma 5:33). If it be true that men value things in proportion to what they cost how dear to them must be the atonement, since it cost the Christ so much in suffering that he may be said to have been baptized by bloodsweat in Gethsemane, before he reached the climax of his passion on Calvary. One who comprehends, even if only vaguely, all that Christ went through must be led inevitably to ask, "Was it worth it?" And Roberts witnesses that in light of the incredibly glorious outcome, it was and indeed is worth it. The achievement is to be more than man's renewal, more than a bright example, more than salvation from physical and spiritual death for all living things, more than the vindication of all the attributes of God. Beyond all these it is a perpetual union and reunion of the soul of man with the soul of God, the making of divine men, the bringing of man to life like unto God's, fullness of life. For all those who will (and both the Father and the Son are helpless in uplifting those who will not), it is the glorious infinite becoming unto godliness. In some mysterious, incomprehensible way, Jesus assumed the responsibility which naturally would have devolved upon Adam; but which could only be accomplished through the mediation of Himself, and by taking upon Himself their sorrows, assuming their responsibilities, and bearing their transgressions or sins. In a manner to us incomprehensible and inexplicable, He bore the weight of the sins of the whole world, not only of Adam, but of his posterity; and in doing that opened the kingdom of heaven, not only to all believers and all who obeyed the law of God, but to more than one-half of the human family who die before they come to years of maturity as well as to the heathen, who having died without law, will, through His mediation, be resurrected without law, and be judged without law, and thus participate...in the blessings of His Atonement [Taylor, pp. 148-49]. It has been almost two thousand years since the wondrous occasion when death was conquered. We still do not know how the Savior was able to take upon Himself and bear our transgressions, our foolishness, our grief, our sorrows, and our burdens. It was indefinable and unfathomable. It was almost unbearable. The indescribable agony was so great in Gethsemane that "his sweat was as it were great drops of blood falling down to the ground" (Luke 22:44). The haunting cry on the cross, in a loud voice in His native Aramaic, "Eloi, Eloi, lama sabachthani?" which is, being interpreted, "My God, my God, why hast thou forsaken me?" (Mark 15:34) gives but a mere glimpse of His suffering and humiliation. One cannot help wondering how many of those drops of precious blood each of us may be responsible for.